Usually it’s around 80 degrees which is SO NICE but every once in a while, it gets pretty cold and last week it dipped all the way down to 74 degrees. Guys, don’t worry, I braved through it with the help of some hot tea. I’m going to share with you something I probably shared with you hundreds of times before — I’m lazy. And when I’m feeling especially lazy, it’s tea bags all the way. 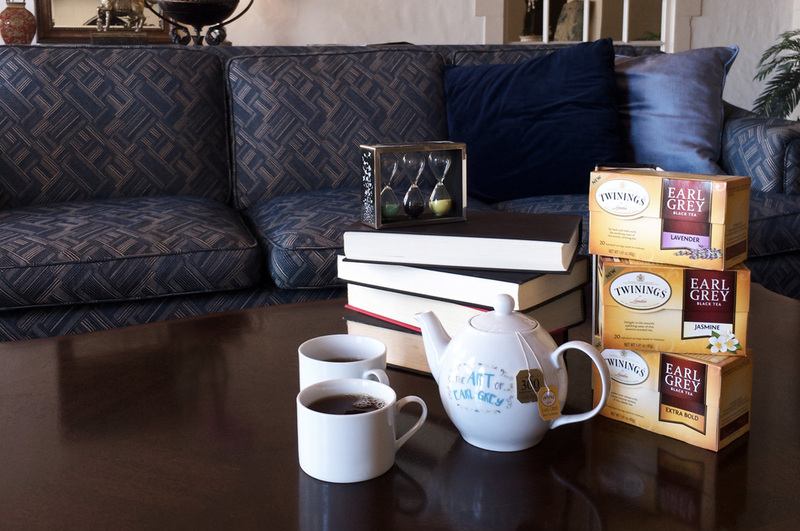 Cue Twinings new Earl Grey blends. There’s the Jasmine Earl Grey (fresh and slightly sweet and light), the Lavender Earl Grey (soothing and floral) , and the Extra Bold Earl Grey (intense and vibrant). Two tea bags for the teapot, boil some hot water and steep for 3 minutes. Done. 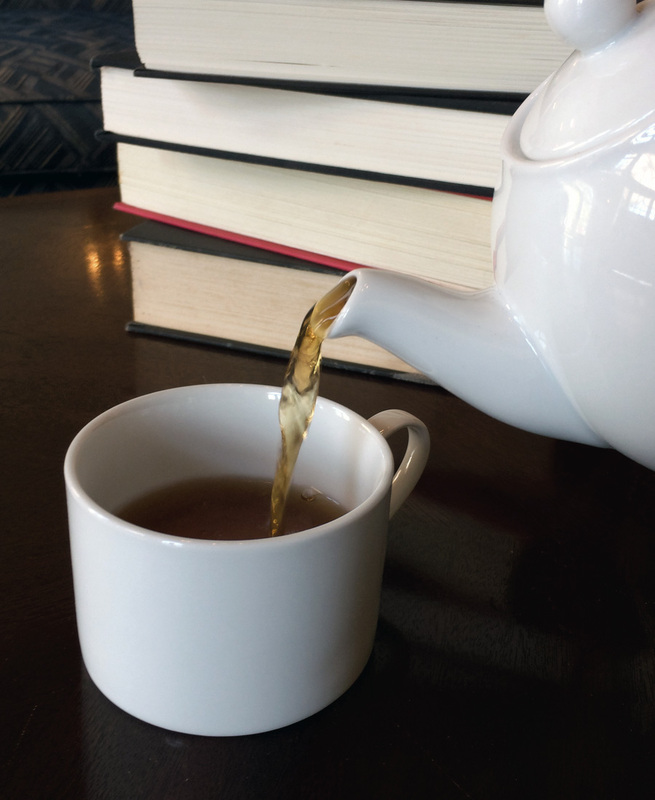 Earl Grey is a black tea blend flavored with bergamot, a Mediterranean citrus fruit. Twinings layered on top of that to come up with additional custom blends. 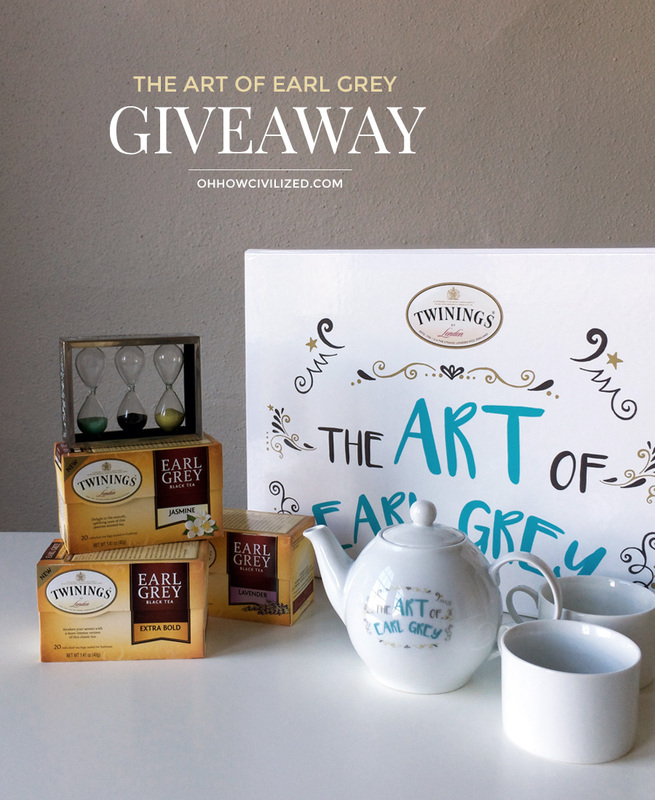 The classic Earl Grey was first blended by Richard Twining in 1831 for Prime Minister Charles Grey and if you check any Twinings Earl Grey box, you’ll see it signed by a descendant of Mr. Grey along with one of Twinings’ Master Blenders. 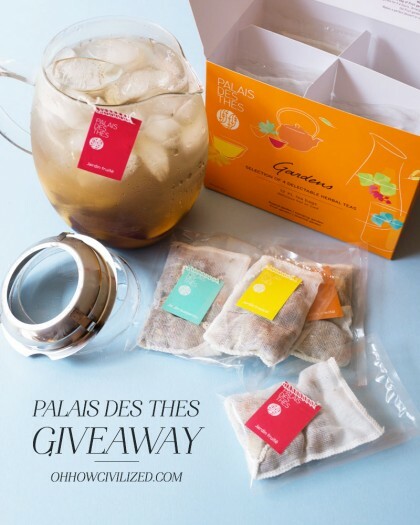 Winner will get all three of the new Earl Grey blends, a tea timer (so useful! ), an Art of Earl Grey teapot, and two teacups. NOTE: This giveaway is only open to US residents. Winner will be contacted by email and comments/follows will be verified. If winner does not respond within three days of being contacted, another winner be chosen. Good luck! Jasmine! Always a fan of this flavor. I live in Florida too! Even though it’s hot I still love tea in the morning and afternoon! I’ve been dying to upgrade my tea set! 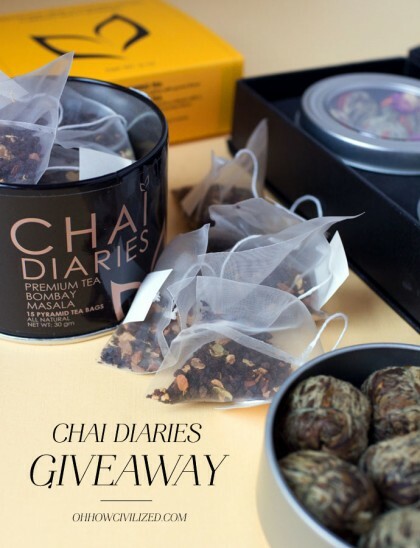 I love this giveaway! The Lavender Earl Grey sounds great! Extra bold sounds really good love their tea. Oooh, this looks lovely! I’ve always loved jasmine and earl grey, but I never knew they could be combined. I thought jasmine was a green vs earl grey a black? I”d love to try the Extra Bold! Earl Grey is my favorite. I’d like a nice decaf – almost any flavor. I’m interested in all of these. Extra bold would probably be great as a latte. I’ve had loose leaf lavender earl grey so I’m interested in how Twinings compares. Jasmine earl grey sounds so intriguing. I’m definitely going to try that one. Earl Grey Extra Bold – I do like my tea dark!! I would like to try the Jasmine Earl Grey Tea blend. I drink Earl Grey every morning so I’d love to try some varieties!! Both Earl grey jasmine and Earl grey lavender sound wonderful! And that teapot is SO CUTE! I love your tea blog so much! I make tea before settling in to write, to bake, or to read. The extra bold Twinings black tea sounds intriguing. I would like to try the Jasmine flavor. I love tea and would like to try the Earl Grey Lavender Tea. Welcome back!! Lavender Earl grey, yum! The Jasmine blend sounds unique and really good. I am interested in the extra bold flavor. I’m interested in trying the Extra Bold Earl Grey. Would love to try the Jasmine Earl Grey! I would like to try them all, but especially the Lavender Earl Gray. I’d love to try the Lavender Earl Grey. Thanks for the giveaway! The lavender, it is a great flavor in teas. My husband is a big fan of Earl Grey, and I know he’d love the Extra Bold variety! I’d love to try the Lavender earl grey tea. I want to try the Jasmine flavor!! I would like to try the extra bold version. The Lavender sounds delicious, so I’d really love to try a cup. I’m interested in trying the lavendar flavor because it’s relaxing! I love the scent! I would like to try the Jasmine flavor most I think. DEFINATELY THE LAVENDER EARL GREY! I’m excited for the Jasmine! I’d like to try the extra bold kind. I would love to try the Lavender since I love the relaxing qualities of lavender essential oils! I think this would be a wonderful tea for evening! Jasmine is so tropical and that is where I would like to be right now. I want to try the Jasmine Earl Gray. I love Jasmine, so I’d like to try that flavor! I would try the Extra Bold. I’d like to try the one with lavender. How soothing! I would love to try the Jasmine Earl Grey. These are two of my favorites. I’d like tottery the Jasmine Earl Grey tea. Slightly sweet and light sound good to me. The lavender sounds really good. Id like to try the Lavender, they make it sound so soothing and relaxing. 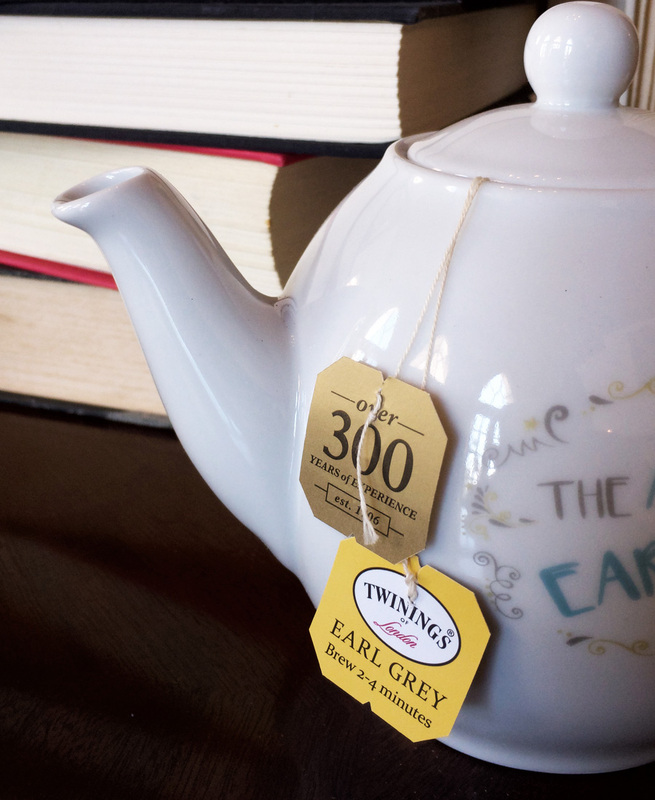 The lavender Earl Grey sounds divine. I am interested in trying lavender. i think i would love the extra bold! I want to try the Jasmine tea. I would like to try Jasmine Earl Grey. I want to try the Jasmine Earl Grey tea. 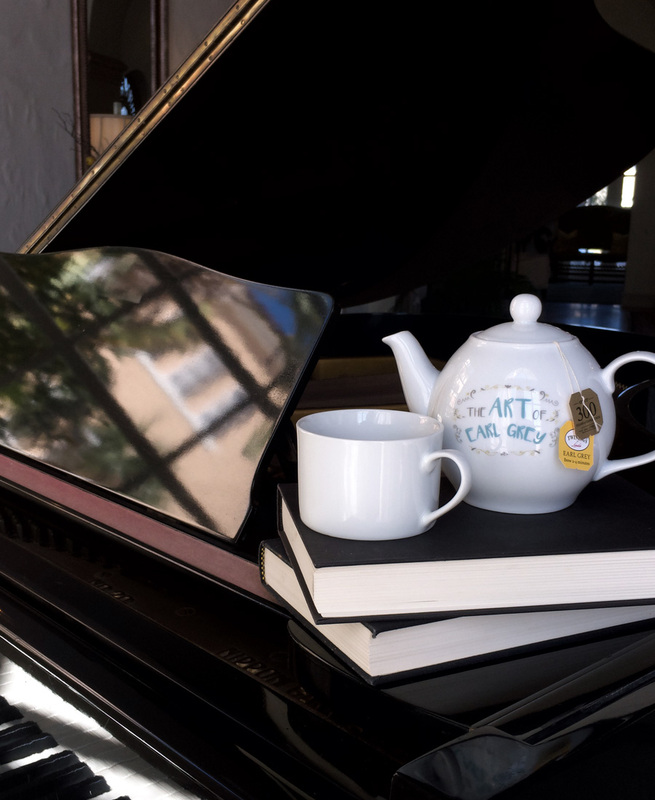 I would love to try the Jasmine Earl Grey – sweet and light sounds great! I would love to try the Lavender Ear1 Grey tea! First I’d tyr their new Jasmine Earl Grey tea. I’d love to try the lavender one. I love Earl Grey! I can’t wait to try the lavender,though I know the Jasmine will be amazing too! I would love to try the extra bold. I’m interested in trying the Jasmine tea. I am interested in trying the Lavender variety of the tea. I love the new Jasmine Earl Grey (fresh and slightly sweet and light). The new Lavender Earl Grey (soothing and floral) would be just great to try. My favorite new flavor is the wonderful Extra Bold Earl Grey (intense and vibrant). A cool, new amazing Jasmine Earl Grey (fresh and slightly sweet and light) is for me. The fabulous, new Lavender Earl Grey (soothing and floral) is the best to try, now. A marvelously, fantastic Extra Bold Earl Grey (intense and vibrant) is a tasty choice. I’m interested in the Jasmine Earl Grey, thanks for the chance! Would love to try the Lavender Earl Grey !! I am interested in trying the Lavender Earl Grey tea. I AM INTERESTED IN THE JASMINE EARL GREY. I would love to try the Lavender Earl Grey Tea. Thanks! We would like to try the Earl Grey Extra Bold blend from Twinings !